Burning fat – it’s no secret that it seemingly gets harder the more lbs you drop! Imagine running a race where you start on hard ground, heading down a hill and at about one quarter of the way through the declined terrain turns flat. At about half way through the flat terrain turns into thick, deep sand. And the for the final stretch it turns into deep sand on an ever increasing incline. For good measure let’s say there’s also a strong wind blowing into your face too. Sounds physically and mentally painful right? But it’s not too dissimilar to the journey you have to endure when burning fat. It does get harder, the leaner you become that’s no myth. Many shrug it off as it’s your body just not wanting to give up the last few pounds or that it’s impossible to get any leaner. Before we go any further with this point we need a quick basic physiology lesson. We all have millions of fat cells distributed around our bodies. 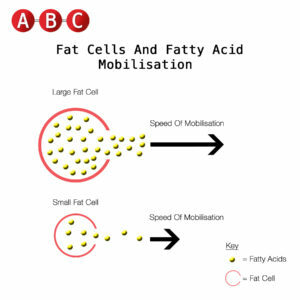 These fat cells can be likened to storage balloons that hold fatty acids. They can store fatty acids and they can mobilise them back out to be used as energy. Remember this then comes back to a simple energy balance equation – consuming more calories than your total daily energy expenditure (TDEE) means the excess will be stored in either muscle tissue or fat cells etc. Or if you’re consuming less than your TDEE fatty acids will be mobilised from the fat cells to make up the energy deficit and be used as fuel AKA burning fat. Now comes the interesting part. Fat cells all differ in size, some large some small. 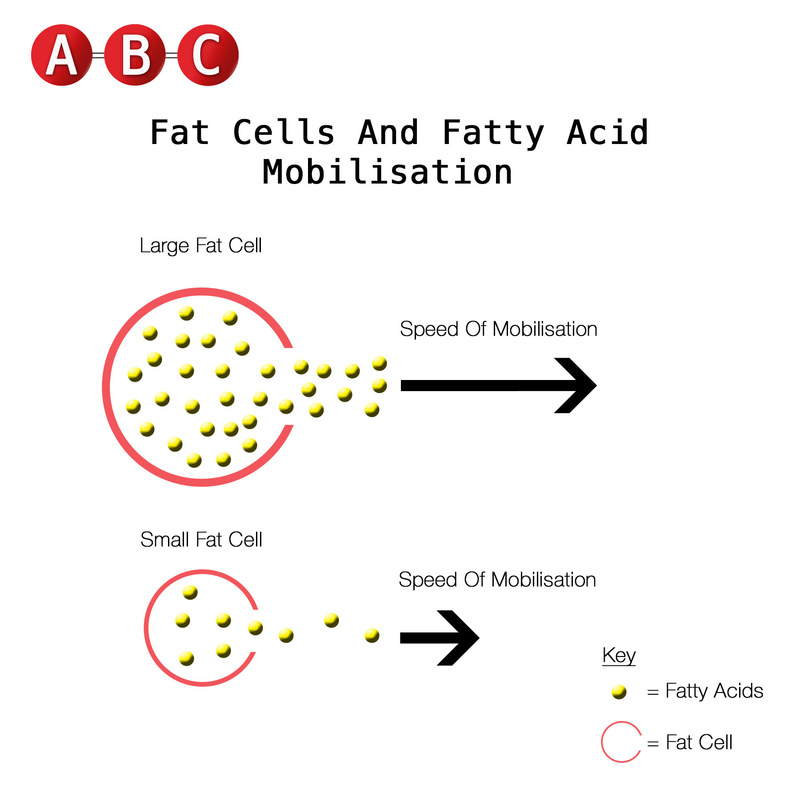 Larger fat cells (those packed with fatty acids) release fatty acids more easily than smaller fat cells. This is part why larger individuals lose fat faster, whilst retaining lean body mass, than leaner individuals. And then inevitably as you become leaner and fat cells become smaller, they tend to give up fatty acids at a much slower rate. In this instance progress is happening, it’s just a matter of staying positive, understanding why things are progressing slower and staying persistent. Physics dictates a heavier object moved an equal distance, or an equal weight object moved a greater distance will require more work to be accomplished. Work is energy. Therefor a heavier person will require more energy to move than a lighter person. 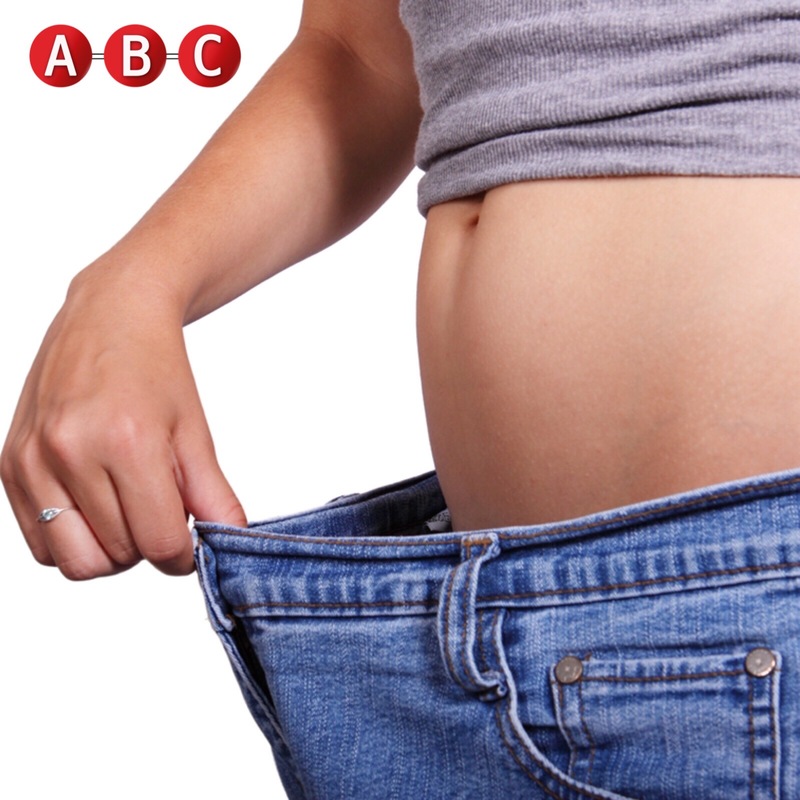 As an individual loses weight and weighs less they will consequently require a descending amount of energy. This means the TDEE is always changing. So don’t forget you may have to reestimate your TDEE every 4 weeks or so/or as you drop weight for continued progress. When in a calorie deficit for extended periods of time, various hormones and processes vital for fat loss begin to down regulate. Our main focus here would be the thyroid and its production of T3 and T4, two hormones that control our metabolism. When in a calorie deficit, the thyroids function slows, slowing the metabolism and ultimately slowing progress. I guess you could look at this as your body’s built in survival strategy. No point in everything running at full whack without sufficient calories coming in right? A tactical “refeed” here could be a viable strategy to get everything kick started again. This is where you’d take 1-3 days and consume just enough calories to put you back into a slight surplus. Note this isn’t a binge! Crappy foods don’t get a free pass. This will up regulate everything back to normal levels and you can then carry on with business as usual. You’ll also notice I called it a tactical “refeed”. Too many abuse this strategy and refeed every weekend (I guess it makes people feel better about weekend binging if they can call it a refeed?) as a result, end up getting nowhere. Leading on from my previous point on hormones, an imbalance or over dominance of various hormones may be causing an issue with burning fat in certain “hard to budge” areas. Most notably here would be the effects of too much cortisol or estrogen. Not that these hormones are all bad news, they ultimately have important jobs to do. And at normal levels both have positive effects on the body. However, an excess of either can cause some potential issues. – Avoid sugars as much as possible. – Eat plenty of cruciferous vegetables for their detoxification abilities. – Drink green tea regularly. – Avoid tap water which can contain xenoestrogens, synthetic compounds that mimic estrogens within the body. – Don’t sweat the small stuff. We all live such busy lives, sometimes it’s nice to take some you time. – Exercise regularly to help beat stress. – Sleep 7-9 hours per night and/or aim to improve the quality of sleep you’re getting. The longer you spend on a fat loss routine and as your progress slows, the more your motivation starts to dwindle. As this declines your drive to eat well and train hard starts to go on the back burner. This can seemingly make it impossible to lose any more fat that what you already have. To “relight your fire” you can try switching up your workouts. Try some new exercises or train different body parts on different days. Or you could try something completely different entirely. Been running for the last 6 months? Why not try some resistance training in your weekly routine now etc. It may even be worth going back to the drawing board and setting some new, motivational SMART goals.